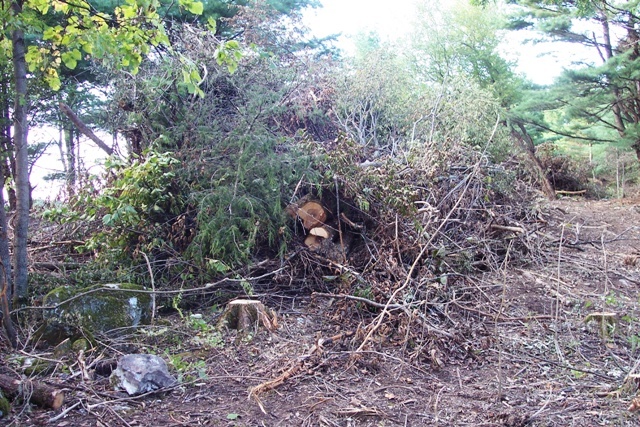 Trees that are beneficial to wildlife can be released from the competition of less desirable vegetation and invasive shrubs to increase habitat productivity. 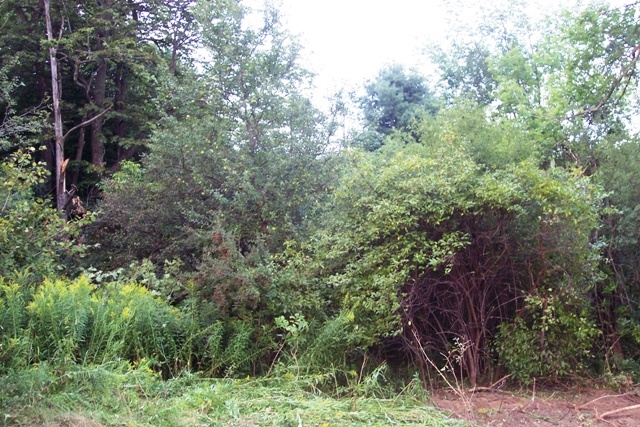 Here an apple tree is crowded by invasive buckthorn and other vegetation. 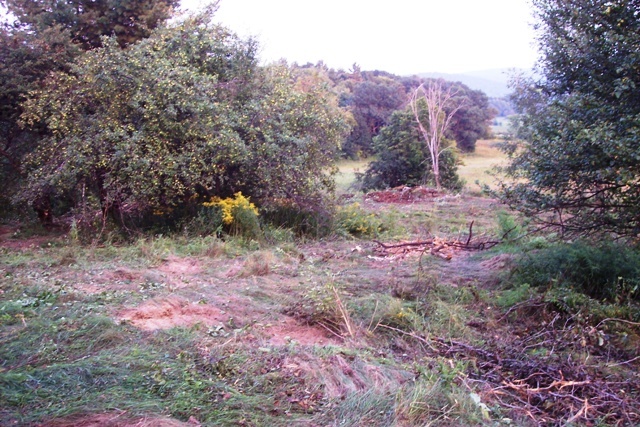 This apple tree has been released by cutting and shredding competing vegetation. 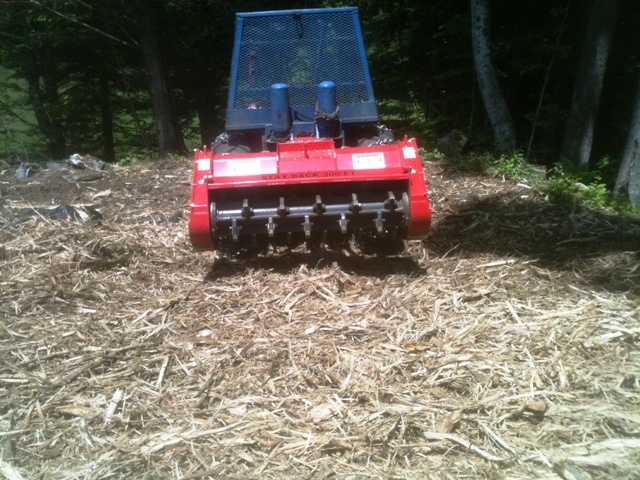 Brush can be piled to create cover for wildlife using the front mounted brush rake on the Forest Savers machine . . .
. . . or shredded to create space for new vegetation, more suitable for wildlife.